Great sounding vocal set for the 1.8 GHz band: SKM 100-845 G3-1G8 feedback-rejecting super-cardioid vocal microphone for a vivid voice reproduction, EM 100 G3-1G8 true diversity receiver, MZQ 1 microphone clip. Pure sound: Handheld wireless system featuring the SKM100 G3 equipped with e845 super-cardioid capsule captures more of the sound you need while rejecting off-axis noise. 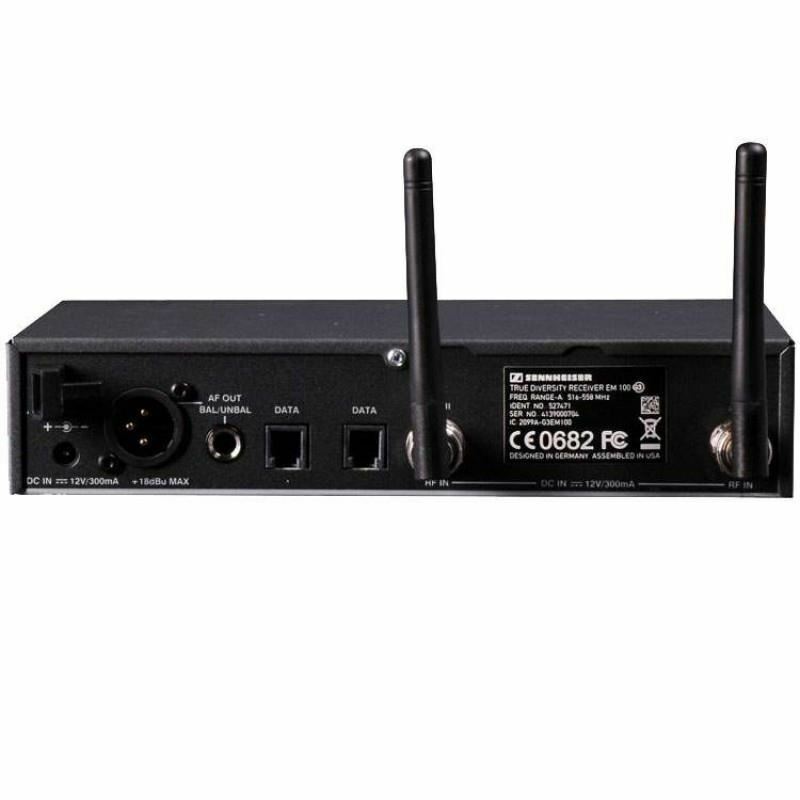 Includes mic clip and EM100 G3 rack-mountable True Diversity receiver. 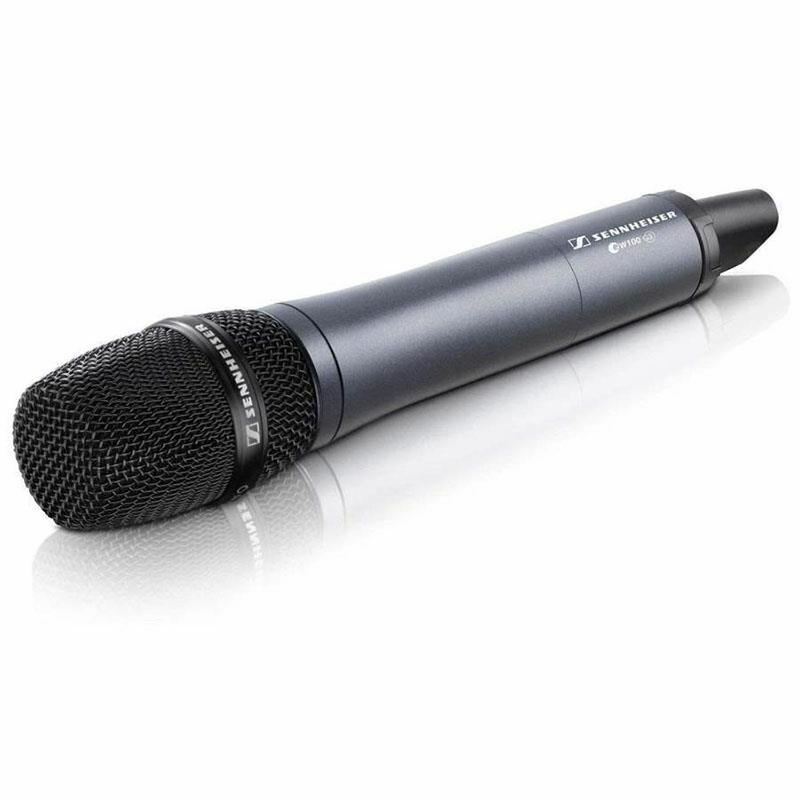 Sennheiser E865S Condenser Vocal MicrophoneNo matter whether it's quiet or loud, far away or right up close: the e 865 makes every tone worth its weight in gold. The entry into the condenser class can be heard immediately. 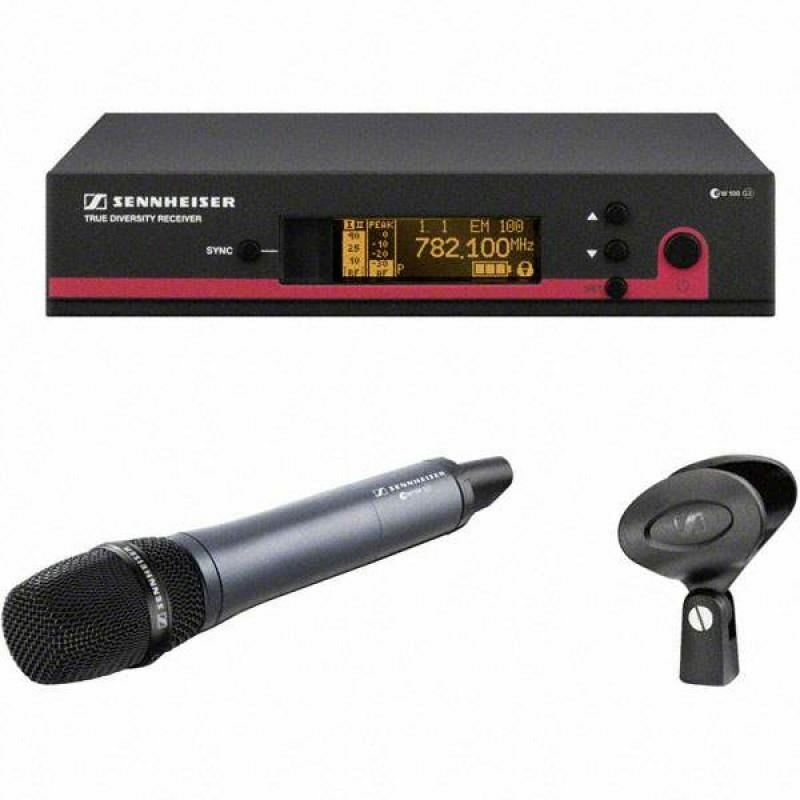 The highly sensitive membrane picks up the finest vocal nuances and transmits..
Sennheiser ew 322 G3 - Lavalier Wireless Clip OnSmall but mighty: the clip-on microphone in this professional set is nearly invisible. The included cardioid pattern microphone has both great resistance to feedback and clear voice reproduction. 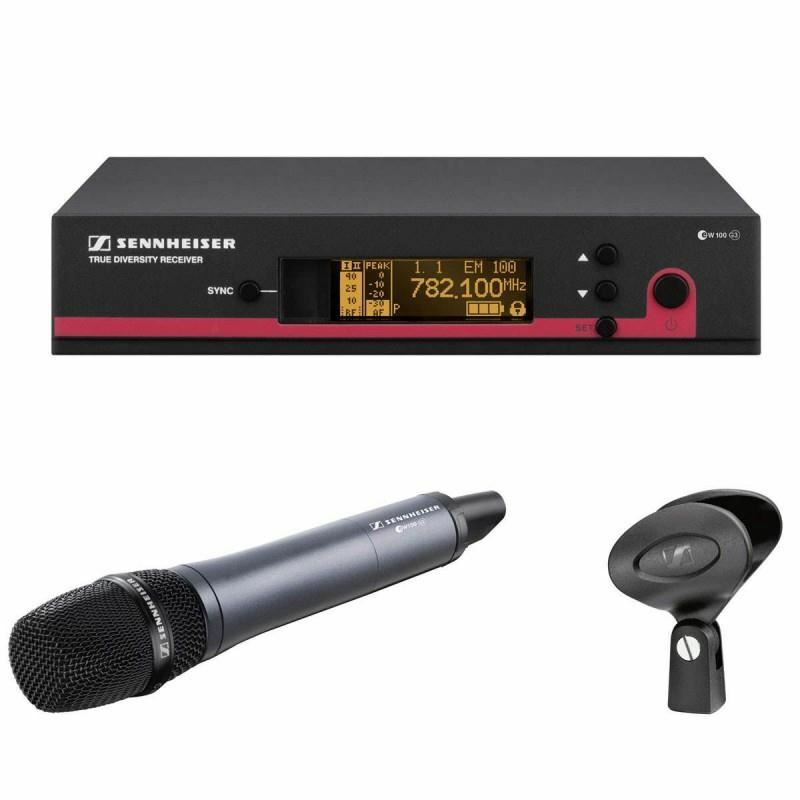 The true diversity receiver means you get the highest de..
Mc-001 Mik RekamanAlctron MC 001 mic profesional yang memiliki diagframa yang luas, Mic condensor yang didukung untuk menangkap sinyal suara frequensi rendah 68dB 100Hz yang menghasilkan suara yang lebih bersih dan reaslistik. MC001 ini memiliki sensitifitas yang tinggi, low noise dan frequensi resp..
Mik Snare/Tom Drum Dynamic Cardioid PG56-LC didesain khusus untuk reproduksi yang jelas dari sumber suara pada perkusi. Dengan jenis mik dynamic (tidak memerlukan Phantom Power) dan pola polaritas cardioid. -------------------------------------------------- Cardioid Dynamic Snare / Tom Microphone..
Shure BLX14/PG30 Wireless Headset System with PG30 Headset MicThis package contains a PG30 headset microphone, the BLX1 bodypack transmitter and a BLX4 tabletop receiver.The BLX series bodypack transmitter works with lavalier and headset microphones, and also has an input for guitar. The beltpack fe..